Bolton Wanderers were one of the founding members of the world’s first soccer league. They won the first match held in Wembley Stadium. And now they might go into administration, effectively bankrupting the club and taking them out of England’s second division, the Championship, and into a murky financial future. This latest stomach punch comes after a last-minute takeover by a Cheshire-based consortium failed this week, leaving the club vulnerable to administration for the sixth time in just the last two years. Essentially, the HM Revenue & Customs department (the UK’s equivalent to the IRS) took the club to court over an unpaid £1.2million (nearly $1.6 million) tax debt; if the club can’t settle that debt, it will face administration or possibly even liquidation. On Wednesday, Bolton were given a two-week extension to settle all their debts and find a buyer for the club in order to avoid those fates. According to the club’s barrister, Hilary Stonefrost, Bolton already have a buyer lined up, and the two weeks should be sufficient to settle debts so high that they recently led to players not being paid their salaries (that was resolved last week, but the financial problems remain). If the club fails in its search to find a buyer to take over operations, it would go into administration, which means that the club’s power broker, owner, and chairman, Ken Anderson, would lose control of the club, ceding it to accountants who would be charged with selling off assets until the debts are repaid. That punishment would include a 12-point deduction in league play that, because of today’s extension, wouldn’t come into effect until next season. A very plausible nightmare scenario: Bolton can’t finalize the sale in time, enter administration, lose the relegation battle they’re currently in, start next season in League One (England’s third division) with a 12-point deduction, and subsequently suffer a double relegation in as many years. The Bolton Wanderers Supporters’ Trust issued what it called a plea to both Anderson and any relevant shareholders on Tuesday to keep the club together and in one piece, even if it is in League One. In view of this, we are making a plea from the heart for all parties to work together to achieve a resolution. As well as Mr Anderson and Mr Basran (Football Ventures consortium), we implore the other stakeholders and club creditors to show a willingness to achieve a future for BWFC. Undoubtedly, some compromise will be needed. And all parties have a significant part to play in achieving a solution. Administration isn’t as common an event in English soccer these days as it once was, as no club has entered that dreaded state since 2013, when Coventry City and Aldershot Town both went under. Most famously, Leeds United entered administration in 2007, just six years after appearing in the Champions League semifinals in 2001; the club has only recently recovered, currently sitting in third place in the Championship, with its first trip back to the Premier League since 2004 in its sights. 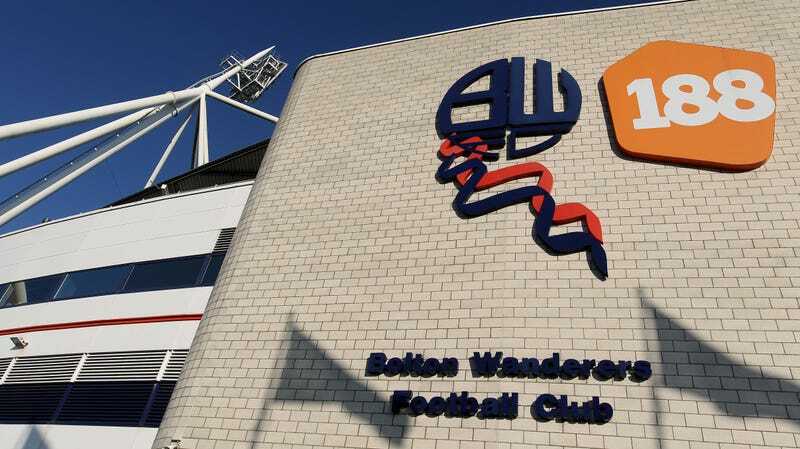 The next two weeks are some of the most important in this storied club’s history: Bolton supporters will hope to avoid the administration fate but if it does, the club will face an uphill battle to return not only to the second division, but to the top flight. It’s not always certain that a club will bounce back from this; in 2012, Darlington entered administration on January 3, only to be dissolved on June 21.